Wednesday, 26th February marked the last day of weekday ministry for the Reverend Anne Skuse in Kilmocomogue Union of Parishes (Bantry, Durrus and the Beara Peninsula) in West Cork. Anne has been working there alongside the Rector, Canon Paul Willoughby. The occasion was marked by a special surprise party at Saint James National School. The pupils performed their version of I will follow Him and also the Cup Song. 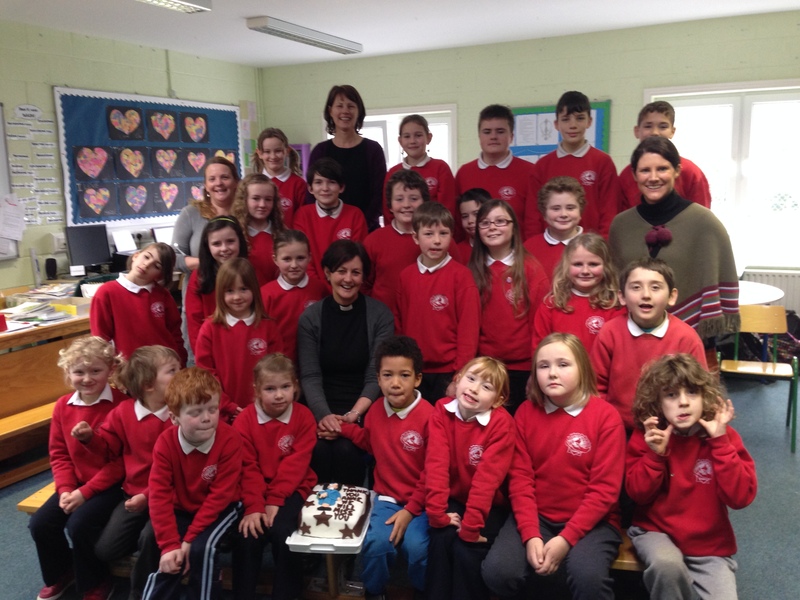 Anne is pictured with the staff and pupils! the cake (baked and iced by parent Ruth Levis O’Donovan) looks pristine now but was demolished moments later. The ‘healthy eating’ policy was suspended!